What exactly happens between the patient and the analyst when therapy is effective? Profoundly unsatisfied by the orthodox but vague explanation that "the therapeutic factor is the relationship", the author explores a hypothesis that is able to comprehend many different methods of both therapy and analysis. Starting from his own clinical experience, the author runs into the image of the classical labyrinth (Daidalon) and a deeper analysis of what this symbol implies, revealing it as a symbol of "Possibility". The worldwide presence in different cultures and ages of the labyrinth as such a symbol may indeed point to the existence of an element beyond it, whose activation in the relationship between patient and analyst could be a fundamental factor for psychic change. Different methods of cure, seen through the lenses of the hypothesis expressed, may share a common factor of transformation. 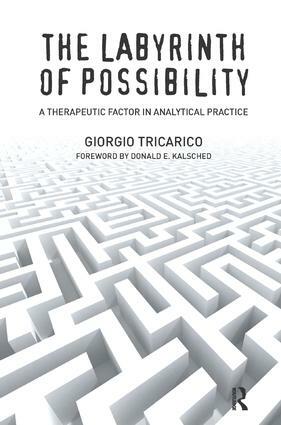 With the help of clinical cases, the concept of "impossibility" in analysis is also explored.